It is understood the pair spoke for 45 minutes and discussed the US government shutdown and their joint condemnation of Donald Trump’s plans to build a wall at the Mexican border. It’s not tough to see why Ocasio-Cortez would highlight this phone call. When was the last time a newly elected member of Congress got a 45-minute phone call from the leader of the UK’s opposition party, a man who might be the next Prime Minister if Theresa May manages to make her Brexit faceplant complete? It’s quite the political coup for the Democratic backbencher. It’s unusual for the leader of the UK’s main opposition party to publicize a phone call with a new member of Congress. According to the UK Press Association, the pair spoke for about 45 minutes, discussing the government shutdown in the United States and the proposed wall along the US-Mexican border. But it wasn’t all good vibes. 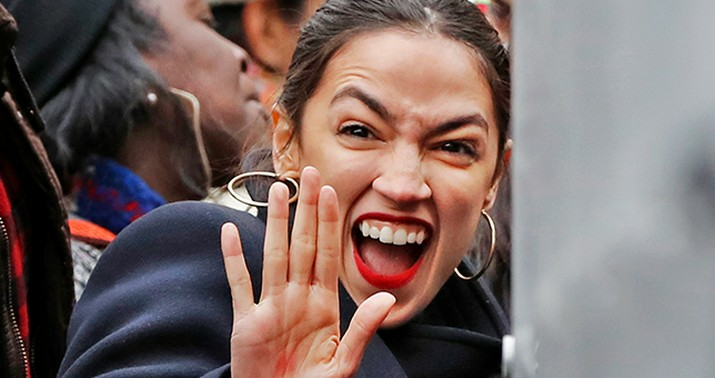 Several Twitter users replied to Ocasio-Cortez’s tweet, pointing her to longstanding issues with antisemitism within the Labour party. Corbyn has faced criticism for his handling of the anti-Semitism crisis that has engulfed the party. Ahem. Corbyn isn’t “handling the anti-Semitism crisis” in the Labour Party; he is the anti-Semitism crisis in the Labour Party. Corbyn participated in a 2014 memorial service for the Palestinian terrorists that conducted the 1972 Olympics attack on unarmed Israeli athletes, for Pete’s sake. Under his leadership, the Labour Party’s rhetorical attacks on Jews have become so common that British police are investigating forty-five potential hate crimes by Labour activists and party members. How could she not know about this before taking Corbyn’s call? Either she did and didn’t care, or she’s too green to understand how to protect herself. I’d go 20/80 between the two options. What’s even more peculiar is why Corbyn bothered in the first place. What possible good would it do to ally with a backbencher whose own party is already considering a primary challenge next year to remove? Ocasio-Cortez isn’t setting policy; Corbyn would be better off talking with Nancy Pelosi and her leadership team, or presidential candidates like Kamala Harris and Cory Booker. Of course, they’re all probably too smart to take his calls, and certainly wouldn’t be dumb enough to promote such a call on social media afterward.